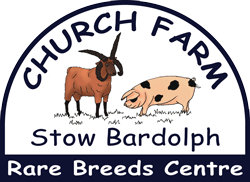 If you think you will visit Church Farm at least once a month then a season ticket is what you need! You can then visit as many times as you like! You only have to visit 11 times during the year to make it pay – that’s less than once a month! Free tractor rides for every Membership holder (adults and children). Summer season only. All children from age 1 & over will need to pay to enter the Farm, they must be added to your season ticket at time of purchase. Open every day. You can visit as many times as you like during the season. You only have to visit 8 times to make it pay.